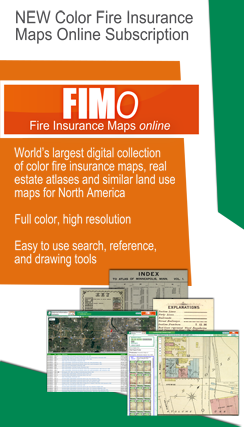 Fire Insurance Maps online (FIMo) is the only online subscription service that provides user-friendly access to our unique and extensive historical map collection. 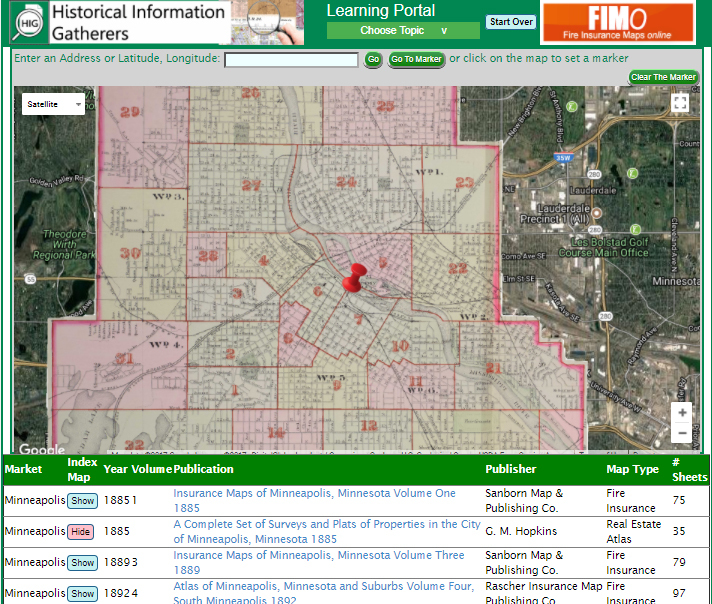 HIG owns the world’s largest online digital collection of color fire insurance maps, real estate atlases and similar land use maps for North America. Our high definition, color and gray-scale images display important historical details not visible on black and white map scans. FIMo includes map research tools and search tips to make finding maps for a specific location easier than ever before. Maps in our collection include publications by Sanborn, Perris, Hexamer, Whipple, Baist, Bromley, Hopkins and others. FIMo is an invaluable resource for research on urban development patterns, past property uses and occupants, family homes, genealogy, and more! 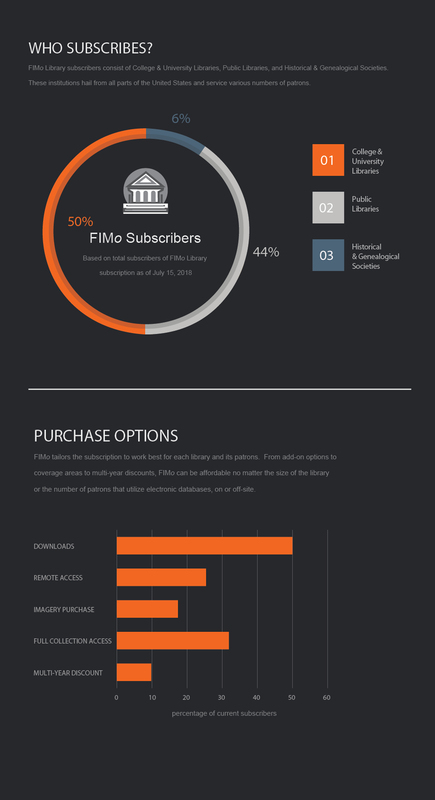 Subscriptions can be tailored to fit your needs. Choose your state, a group of states, or the entire United States. Select the ability to download, or purchase the imagery and only pay a maintenance fee. Who can benefit by using FIMo? Many libraries and historical societies subscribe to online map services to fulfill the needs of patrons who are engineers, environmental professionals, attorneys, historians, genealogists, government agency researchers, architectural, engineering, or urban studies students, and the general public. To request a demonstration of FIMo or find out more about FIMo, please contact Tad Anderson at 952-253-2004 or tada@historicalinfo.com. We’ve added index maps to the search function! Now you can instantly see where your site of interest sits on each map while you view the list of maps available for the site. Fire Insurance Maps Plus – Let HIG do the Research! Digital fire insurance maps (FIMs) for a specific location or area can be requested by placing an order on HIG’s ordering website. To set up an account or inquire about pricing, contact our Client Services Team at 952-253-2004 or orders@historicalinfo.com.